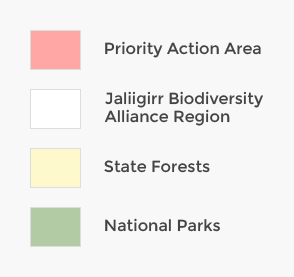 Key Partners: Office of Environment and Heritage, Envite Environmental, Coffs Harbour City Council, Coffs Harbour Regional Landcare. The Moonee landscape encompasses the coast and hinterland north of Coffs Harbour. One of its outstanding features is Moonee Estuary which contains important habitat for a range of shorebirds including threatened and migratory species such as Sooty and Pied Oystercatcher, Little Tern, Osprey and Beach Stone Curlew. Many headlands in the Moonee landscape consist of Themeda grassland, a Threatened Ecological Community. 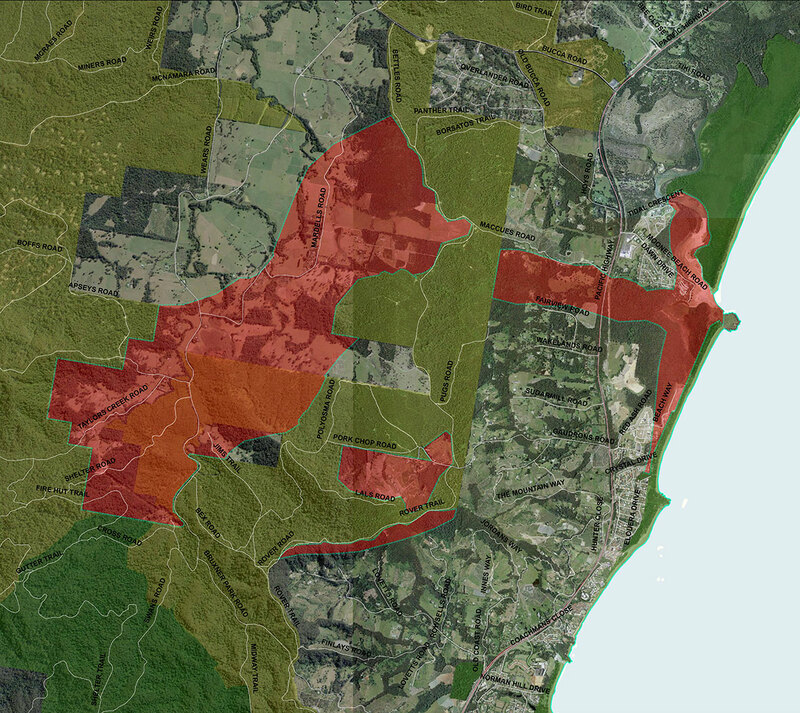 From Green Bluff (Moonee Headland), the ridge extends back into the hinterland forests which contain a diverse array of coastal forest types including rainforest, swamp sclerophyll and tall eucalypt forests. 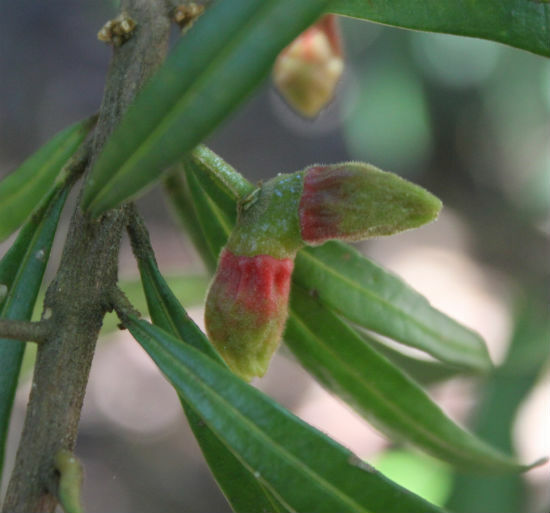 The Moonee Quassia, an endangered shrub, has its most significant populations in the Moonee landscape area. Many other threatened flora and fauna live in these forests and include hollow-dependant fauna such as Powerful Owl, Sooty Owl, Masked Owl and the Glossy Black Cockatoo. 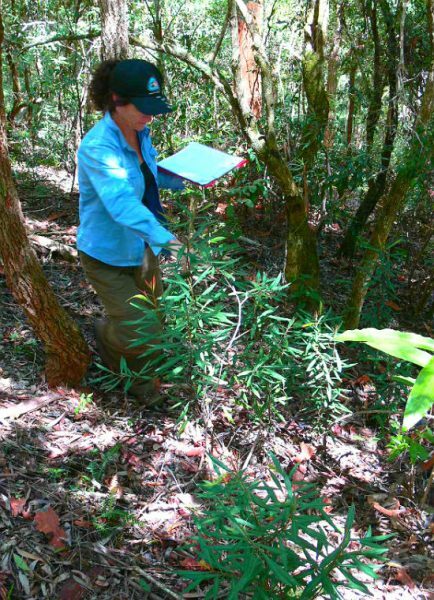 Project work is active in the Moonee landscape, including a dedicated bush regeneration group who meet regularly to improve this significant habitat, and regeneration work on the Endangered Moonee Quassia includes landholder engagement, monitoring and bush regeneration.